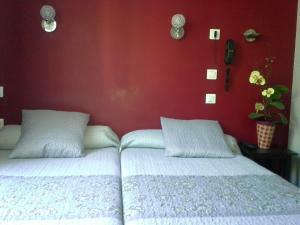 Suite du Merle Blanc & Suite N°2 price per day from € 150 . Quality Hôtel du Golf Montpellier Juvignac price per day from € 72 This resort is located 10 kilometres from Montpellier and its sandy Mediterranean beaches. It features an outdoor swimming pool, fitness centre and a golf course and putting green. The hotel’s chef serves inventive, regional cuisine using seasonal products..
Apparteo Montpellier price per day from € 59 . 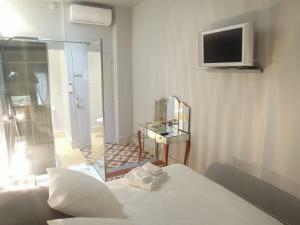 Hôtel Ulysse Montpellier Centre price per day from € 140 . Crowne Plaza Montpellier Corum price per day from € 96 . Hôtel Royal price per day from € 75 . 1. Head east on Quai du Port toward Rue de la Mairie. 2. Turn left onto Rue de la République. Go through 1 roundabout. 3. Turn right onto Bd Dunkerque. 6. Keep right to continue on E80. Toll road. 12. Take exit 30-Montpellier-Sud toward Lattes/Palavas-Les-Flots. 13. Keep left at the fork, follow signs for Autres-Directions and merge onto D986. 14. At the roundabout, take the 2nd exit onto Rue de l'Abrivado. 15. Continue onto Av. des Prés d'Arènes. 16. Continue straight onto Carrefour des Alizés. 17. Continue onto Av. de la Liberté. 18. Turn right onto Rue Adam de Craponne. 19. Turn left onto Bd Renouvier. 20. Continue onto Pl. Roger Salengro. 21. Turn right onto Rue Daru. 22. Turn right onto Rue du Faub. du Courreau. 23. Take the 1st left onto Rue de la Merci. 24. Continue onto Rue François Franque. 25. Turn right onto Rue Foch. 26. Continue onto Pl. Martyrs de la Résistance. Destination will be on the left. Art Museum Fabre, Montpellier, 0.2 km from the centre of town of Montpellier. Cathedral St-Pierre, Montpellier, 0.4 km from the centre of town of Montpellier. Jardin des Plantes, Montpellier, 2.9 km from the centre of town of Montpellier. ZOO Henri de Lunaret, Montpellier, 3.2 km from the centre of town of Montpellier. Aquarium Mare Nostrum, Montpellier, 3.3 km from the centre of town of Montpellier. Espiguette Beach, Montpellier, 27 km from the centre of town of Montpellier. Museum Villa Loupian, Montpellier, 29.5 km from the centre of town of Montpellier. Ski resort Mont Aigoual, altitude: 1200m. 64 km from town of Montpellier. Ski resort Orange. 95 km from town of Montpellier.